Over the last couple of years, enormous pleasure has been derived from delving into the Canadian folk, roots and country scene revealing a tight knit community spanning this vast land. 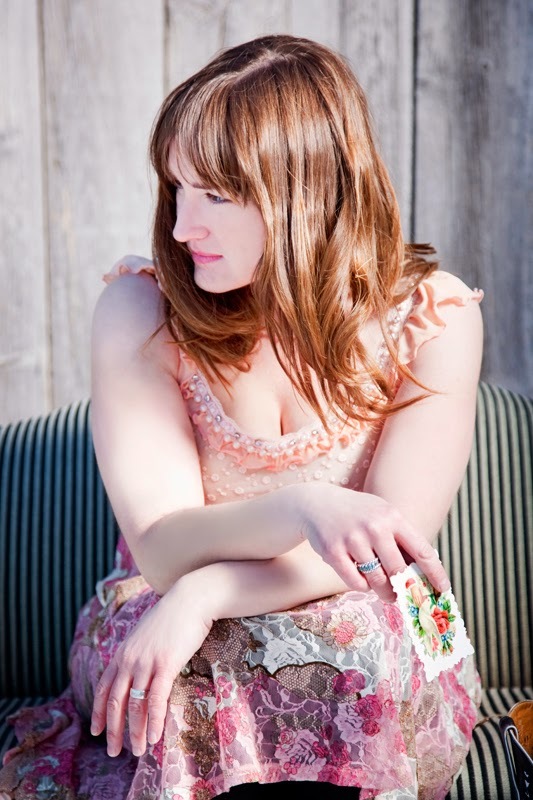 Discovering new artists and then exploring their back catalogue has often proved to be a rewarding experience with the latest in a lengthy line being Suzie Ungerleider, or to be more precise, her recording name of Oh Susanna. Suzie had been on my radar for a while so the opportunity to feature her new album NAMEDROPPER is long overdue for such an established artist. This new album sees Suzie take a break from writing, so fellow music enthusiasts using the release as an introductory tool will get an instant feel of her vocal talent and ability to interpret the songs of others. If the thought of a covers album leaves you indifferent, fear not as this is more of a commissioning project enlisting the great and the good of Canadian song writing talent. All fourteen tracks are seeing their recorded life for the first time and when the services of artists of the stature of Ron Sexsmith and Jim Cuddy are involved then the quality stakes are raised. After an initial satisfying listen to the record, more intense scrutiny was applied to a trio of tracks originating from the pens of three personal favourites. The sultry sounding ‘This Guy’ possesses all the hallmarks of a Good Lovelies classic and Suzie’s near stripped down version shows a telepathic vision of how to interpret a song from Toronto’s favourite female trio. Many have enthused over the words of Amelia Curran and her gift of ‘Loved You More’ wraps your attention around its lyrical construction with Suzie breezing through the vocals. Another Maritime contribution, this time from Old Man Luedecke, gets the solo piano accompaniment with ‘Provincial Parks’ being one of the album’s more tender moments. Suzie has aligned herself with Jim Bryson for this project and the challenge for the pair of them was to give each song the interpretation it deserved. If you appreciate a voice that glows with comforting warmth and values alluring appeal over aesthetic purity then Suzie will meet your approval. Indications are that her song writing skills will be rejuvenated after a brief enforced break and what better re-inspiration than the line-up assembled here. The musical arrangement and production under the guidance of Bryson is kept on the deft side without the need to overpower the vocals and providing effective interludes such as on Ron Sexsmith’s ‘Wait Until the Sun Comes Up’. Although Suzie was raised north of the border and is an integral part of the Canadian music community, her Massachusetts birthplace sees her just short of citizenship and it was interesting to note another American artist getting a song writing credit in Angeleena Presley, who herself has an eagerly awaited upcoming release. The song in question is a co-write with Sexsmith, his second contribution, and album closer ‘I Love the Way She Dresses’. This follows perhaps the album’s strongest track and the punchy vibes emanating from Jim Cuddy’s ‘Dying Light’. The Blue Rodeo founding member pulls the heart strings in classical portions with this passionate song belted out by Suzie and serenaded by segments of glorious organ. Strip away the negative connotations of the term NAMEDROPPER and you have an album ripe in collaboration, rich in song and regal in its presentation and projection. Whether you are new to Oh Susanna or not, this record sets itself apart and will nestle in well alongside her own material. It is also a proud representation of the strength of Canadian music.